Notes: Architects: Judge's Pavillion, Bldg. #109 - H.J. Schwarzmann, Hugh Kafka; World's Ticket Office, Bldg. #84 - H.J. Schwarzmann, Hugh Kafka; Centennial Photographic Association Building, Bldg. #110 - H.J. Schwarzmann. 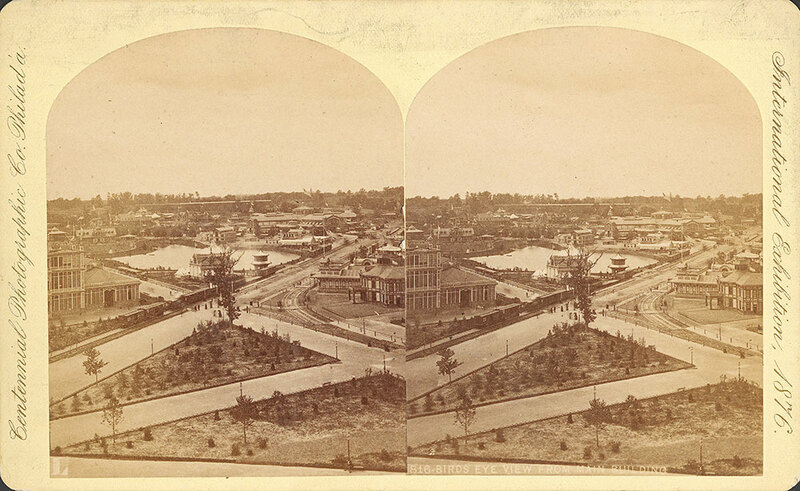 Notes: Overview of exhibition grounds, with railroad, buildings, and people visible. In the center is a lake. Flags top most buildings. Notes: Title on label: Birds eye view from Main Building.